The current winery was built in 1992. BIURKO is a Basque word that means “place of two waters”, and is the name of an area in the town-land formed by two hillsides and a valley. The name suggests that at some time in the past two streams flowed here. The Llorens family committed itself to a long-term project where they would process and market the grapes from their own vineyards by combining the best in state-of-the-art technology and tradition to obtain quality wines and product identification. The winery is located in Bargota, a small village that lies at the base of the Yoar Sierra ( Sierra de Cantabria ) at an altitude of a 600 metres. The winery, surrounded by family vineyards and olive groves, was built on a hill overlooking the local countryside and offers excellent views of the surrounding area. 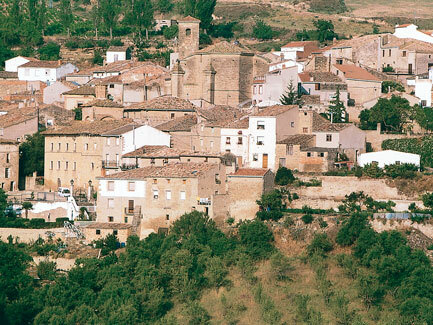 The village of Bargota is steeped in winemaking tradition that has been passed down from generation to generation. The type of construction prevalent in the village clearly shows the importance of wine in the local economy and the way local people have lived. The stone-built houses hide underground wine cellars where each family made and stored their wines without the aid of the modern technology at our disposal today. The evolution of the family vineyard and winery is similar to others in the different villages in this winemaking region. Firstly, there was a period of time where a local cooperative was formed in order to improve both the technological and commercial elements of wine production which then gave way to the private initiative and investment by a family in their own long-term winery project. The philosophy at Biurko is based on combining the cultivation of its grapevines through traditional natural agricultural methods and modern technology. This enables the winery to produce select quality wines whilst maintaining the characteristics of the local grape varieties. 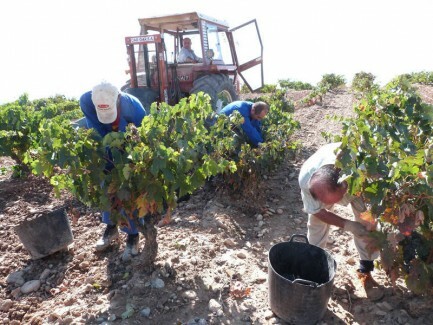 BIURKO produces a very wide variety of wines that correspond to the variety and wealth of the vineyards. The style is modern, fruity and balanced. The young red and white wines are characterised by their freshness, the dominance of their aromas and the primary flavours of the grape, finesse and roundness combined with a great structure and strength as well as great expressivity and their own typology. They are based on monovarietal tempranillo and the sauvignon blanc grown at high altitude in low quantities. The two-year-old wines are one of the innovations at the winery and they are characterised by the combination of the tempranillo, graciano and old garnacha grape varieties. They are young and fruity yet purvey great colour, structure and complexity, all provided by the careful selection of vineyards and varieties. They are aged for six months in oak casks and this ensures stability and positive evolution for several years. The wines that are aged for longer periods come from older vineyards. These wines are modern in style and the gentle aging process respects the natural flavours and aromas of the grape. Tempranillo and graciano grapes are combined and the careful selection of grapes from unique vine plantations identifies each wine as being from each individual plot used. The aging process in cask and tank is longer in order to achieve pure natural wines.